Here's another edition of our minigame digest! Read on to learn about Centauri Rift, Into the Black, Natives, Intrigues of Asgard and Alakazoo. 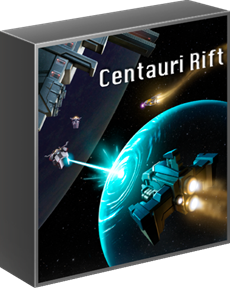 In Centauri Rift players take command of one or more ships to outwit and outfly the opposition. Captains must manage finite resources such as energy and ammunition while vying for tactical supremacy. Choose between 3 ship models and immerse yourself in the theme by sitting behind the console of your starship. Customize the map by adding asteroids, planets, and even a nebula. Fly your ship over, under, and around the competition in order to target their weak side. Rotate your shields and charge the auxiliary to ensure you will survive. 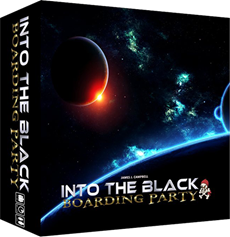 Into the Black is a semi-cooperative space pirate dungeon crawl. 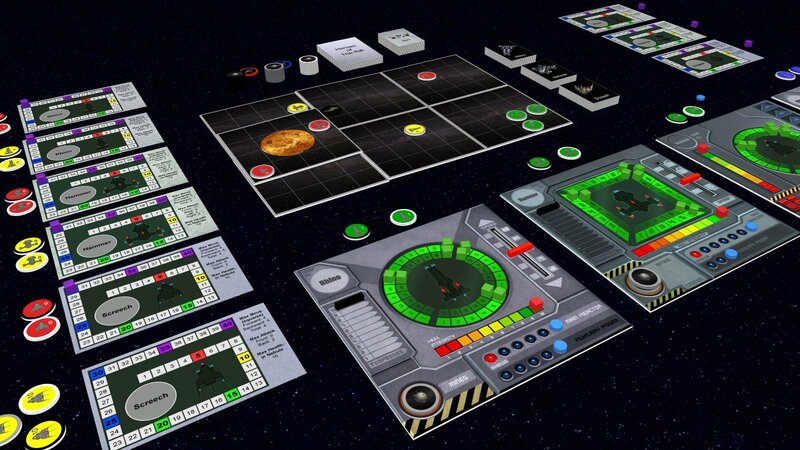 You and your fellow crew mates are a fierce band of space pirates who have boarded an enemy star ship with the ultimate goal of taking control of the bridge. 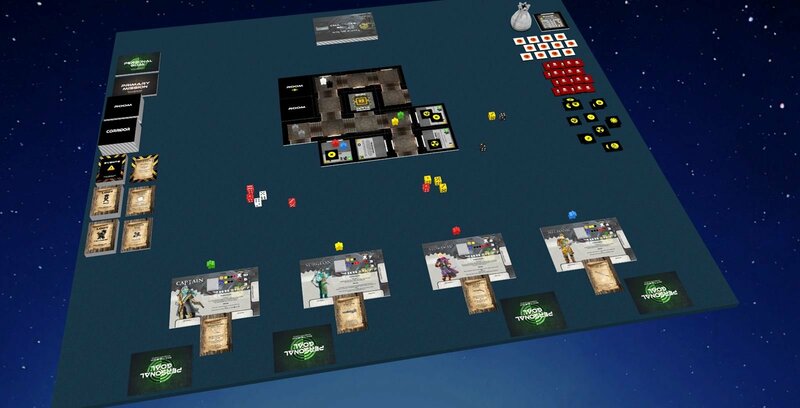 Along the way you will reveal the layout of the ship, encounter enemy defenders and potentially lethal events, and loot a plethora of helpful (or not so helpful) items along the way. But beware; One of your crew mates just might be a traitor, out for personal glory at everyone else's expense! 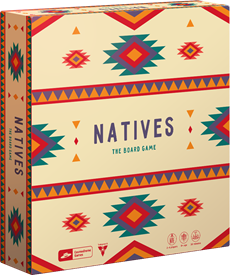 Natives is a card game where each player take a role of tribe leader guiding his tribe to prosperity through clever management of resources. Each turn player adds one or more cards to the parries - the "open market" and then chooses one of professions in clan to activate. Professions allow player to take different card from players and add them to tableau - chiefs help to recruit people, warriors collect spoils, shaman provide totems and so on. Each card grants a player some points, but new people in clan also helps to collect more cards, when activating their professions. So each player must decide when it's time to stop building tribe engine and start to gather resources and prepare for the winter. 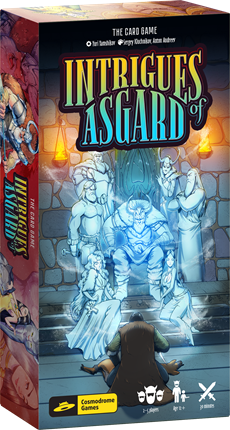 Intrigues of Asgard is fast playing card-drafting game set in the Norse Pantheon mythology. 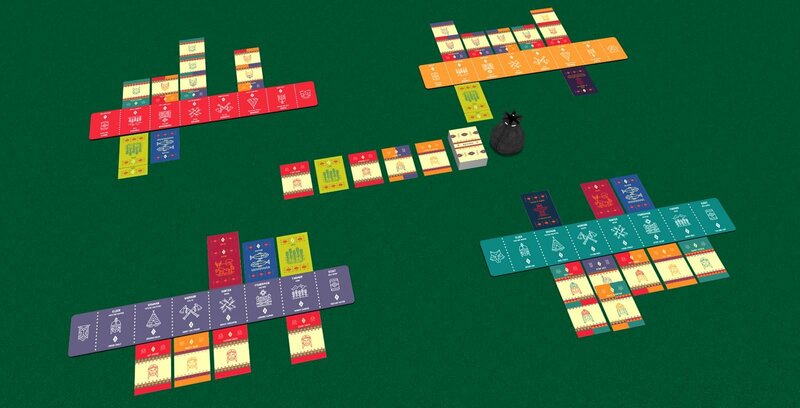 In order to lease the gods, players will make offering to them by playing cards to their tableau. 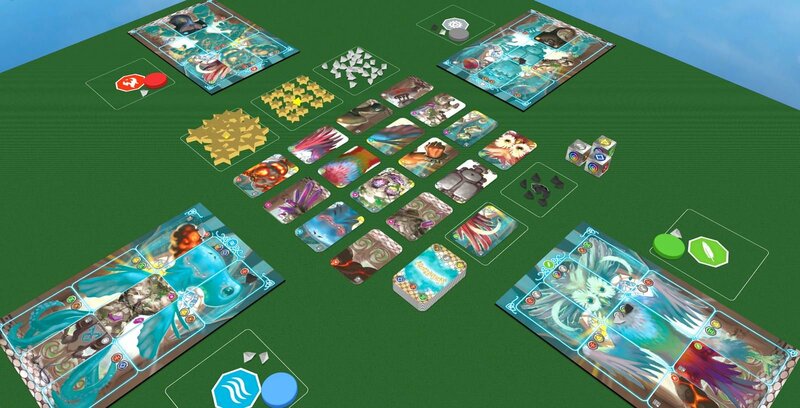 Each card contains two goods - and player must decide, which of them will be prayed in this turn. At the end of the round all gods are returning favours, but only to the most generous player, granting him one time use special ability or some victory points. After 3 rounds of the game all gods score one more time - and the player with the most points wins! 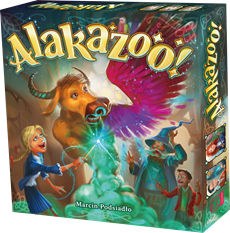 Alakazoo is a family board game for 2-4 players. It tells a story of a competition in Magic Tournament. You impersonate Wizards whose task will be to summon one of Fantastic Creatures as soon as possible. Each player receives a special Portal board that consists of 9 fields. Each field contains 2 runes that must be powered with Magic Power in order that a proper element of a Fantastic Creature could appear there. 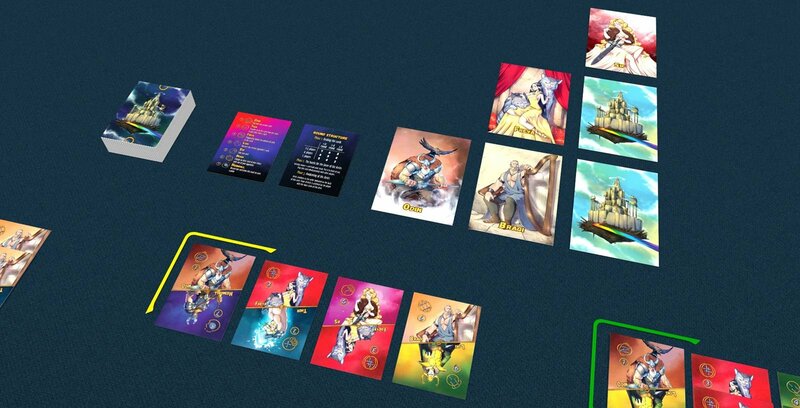 These elements are represented by special cards managed by players.